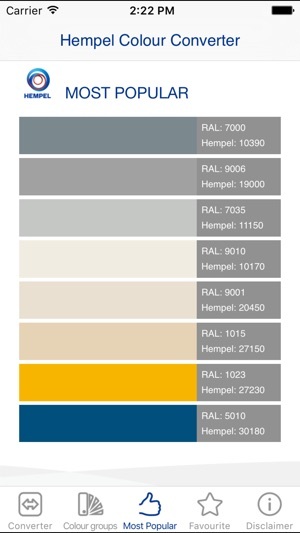 This application enables you to find equivalent Hempel and RAL Classic colour shades, and also similar colours and colour groups. 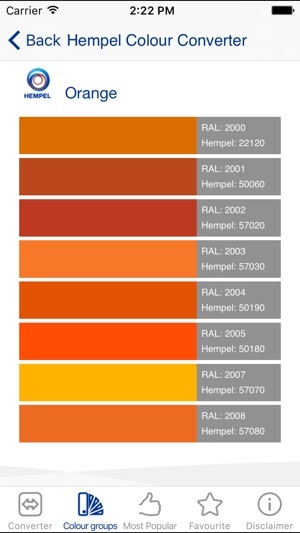 It also shows you the ‘Most Popular’ shades in Hempel. 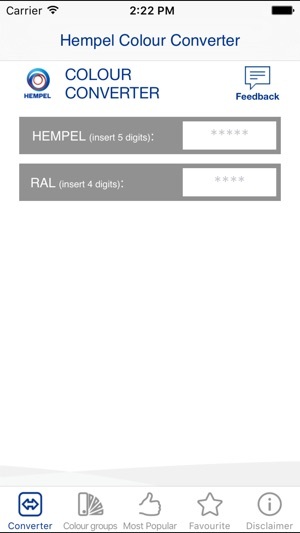 – Converter – the user can specify either Hempel or RAL classic colour shades (the shades are previewed with their codes and codes of their equivalents). 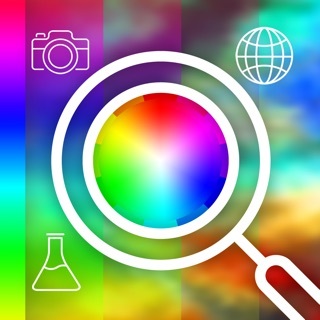 – Similar Colours - it displays similar colours with a preview and their colour codes. 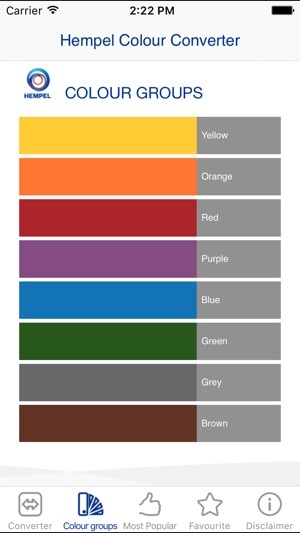 – Colour Groups - a preview is given of relevant colour groups. 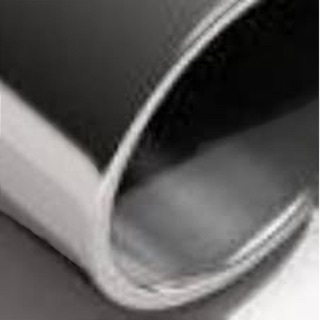 – Most Popular – a preview is given of the most popular shades in Hempel. – Favourites - users can select colours as favourites, which are then available as a customised “Favourite colours” list. 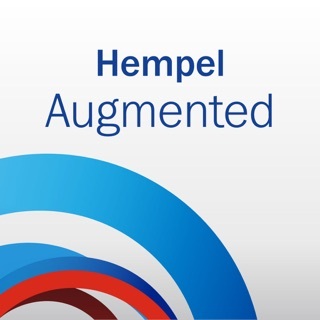 – Feedback - users can e-mail feedback to Hempel Marketing Europe.